This figure pack lets you experience Leia Organa’s political clout on any battlefield. A sculpted plastic figure brings the character to life and replaces the token found in the Return to Hothexpansion. 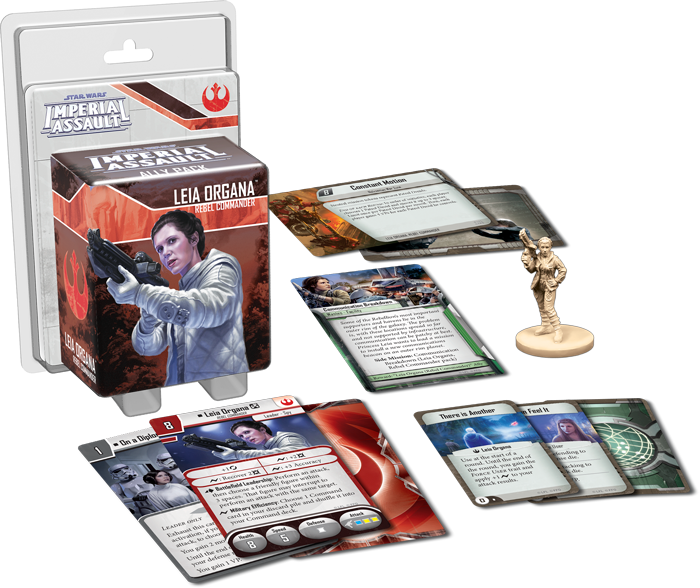 With a new campaign side mission, two new skirmish missions, and new Command cards and Deployment cards for both games, the Leia Organa Ally Pack can turn the tide of anyImperial Assault battle in your favor.